This book is a fabulous first look at what it means to be a citizen. 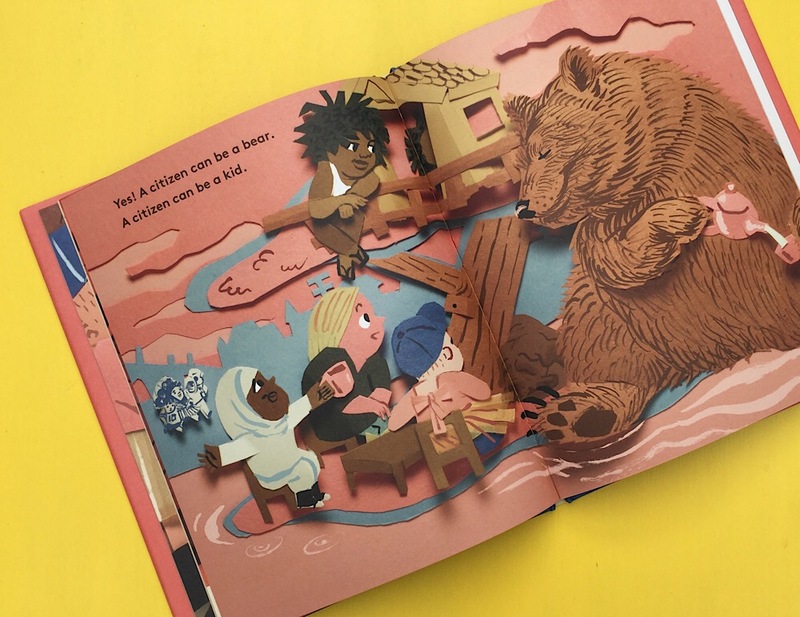 Using the context of unconnected children coming together to transform a desolate place into a friendly, buzzing community makes it relatable to young readers, and shows them that anyone can be a good citizen and make a difference, no matter their size! It beautifully demonstrates the oneness of our world and the power people have if they work together. Harris’ collaged illustrations are perfect as they give the book a real sense of something being built, growing increasingly 3D as the island is transformed. This book is a must for all school libraries and should be in everyone’s assembly toolkit!